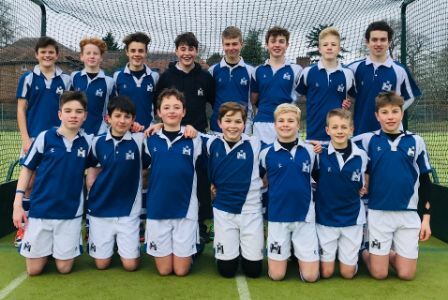 On Tuesday the U14 Boys made history by being the first boys hockey team to reach a Surrey Final. In cold conditions the boys drew their first match against Charterhouse, then gained in confidence to beat Reeds 3-0 then lost to last year's National Champions, a strong St Georges team.. They played some excellent Hockey and now progress to the Surrey Finals day on Wednesday 6th February at Charterhouse School. We are very proud of them and we wish them "Good Luck".